It’s been quite a hard 2018 for cryptocurrency holders and traders. Markets have been on a bear trend and significant profits nearing 80-90% have been wiped off investors screens. However, April seemed like it had more good news than bad and gave hope that crypto could be embedded and here to stay. The real news this week saw what seems to be the end of weeks upon weeks of constant declines and troughs on the overall cryptocurrency market. It was specifically Thursday afternoon when most of the currencies, including huge jumps up for Bitcoin, Ethereum and Ripple. A more generalist bull run that positivity infected all currencies in the top 20 due to certain market announcements enhancing fundamentals. It stopped the rot, injected some much-needed confidence and seems to give, at least for now a floor to the prices of the more stable currencies. Santander launched their OnePay FX app this week. Simply put, it’s a mobile phone application designed to facilitate cross-border payments. The app is a client of Ripples systems in order to authorise payments over the blockchain, meaning that this seems to be a huge step in the right direction for both Ripple and Santander. Ripple boomed on the back of the news and brought a host of the top 20 currencies by market cap. The rumor mill is rife (as usual), with all fingers pointing at Amazon. If this is true then this would be an incredible partnership, with good potential. Its likely to have something to do with e-commerce in what could push Verge forward in terms of adoption and maturity. 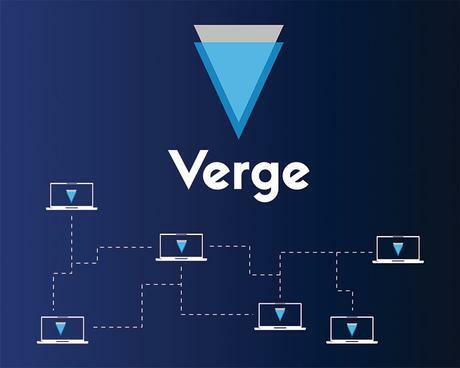 Verge want to make it a mainstream, viable currency option for online spending, backed by its super security protocol. The Financial Conduct Authority (UK) has announced that they are completing a full review on cryptocurrencies. It’s unlikely to be a total and aggressive ban but the review is expected to at least recommend a range of regulations that target exchanges and ICOs specifically. We are to expect more news from the FCA, UK government as well as other central governments about their stance on cryptocurrencies in the coming months. It’s been announced that 12 new tokens are soon to be added to the Bitfinex exchange. The move is predicted to add an excess of $1billion. This means more adoption of new currencies such as Loopring and IOS Token is becoming a more realistic concept. In general, the more types of coins available on an exchange really does influence the transparency and the supply of the markets. As investment in existing platforms, more exposure and new platforms emerging – this could be a common theme. If we hear of any pertinent announcements we will do more monthly summaries but only if it’s exciting enough!